Won’t somebody please think of Lind? Despite constant reassurances since he was resigned that he’d be the DH and occasional first baseman, the Blue Jays today announced that Edwin (E5) Encarnacion will be the team’s everyday third baseman. According to the above-linked article from the National Post’s stalwart Jays reporter John Lott, manager John Farrell, the decision was made based on E5’s defensive improvement — especially his footwork. 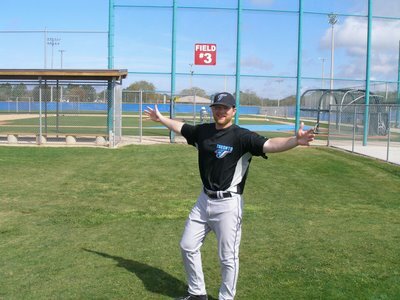 Now, yeah, from the little bit I’ve seen, read and heard out of the Jays camp, E5’s looked great at first. Good footwork, good reactions, everything. If all that’s true, sure, he might be great at third. But E5’s problem at third hasn’t been his glove, it’s been his arm. You can kind of get away with a third baseman who can’t hit the side of the barn if you’ve got a great glove at first, but Toronto’s got Adam Lind. I guess management is pretty confident in his glove. They’d better be. 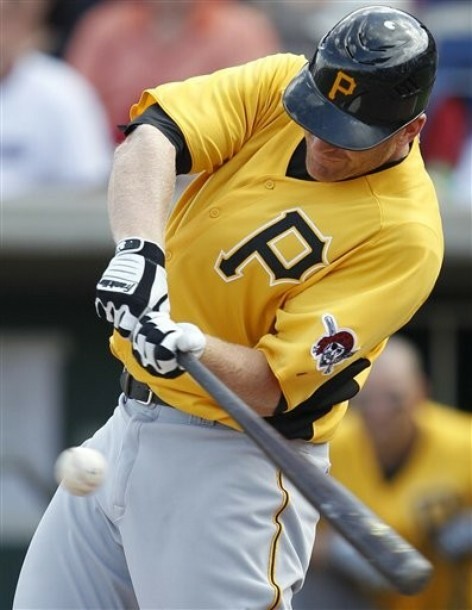 Travis Snider’s eating and tweeting habits are newsworthy. Let’s all root for Adam Loewen. It’s too bad Drew’s outfield preview is out of date already, but it’s still worth a read if appreciate fun and smart. See that picture right above these words? You know what that is? That’s a first baseman. A REAL first baseman. That’s a guy who can hit AND field. Sure, maybe he doesn’t have the consistently huge numbers that certain mouth-breathing fans want from the guy who mans first base, but he gets on base like a champ and he makes everybody else in the infield look good defensively. I know a lot of people look at first base as a position where teams hide guys who can hit but can’t field. That may be true, but when Edwin (E5) Encarnacion gets his inevitable start(s) at third, and he’s throwing the ball all over the place — basically anywhere except where he should be throwing it — you might find yourself longing for Lyle. Dude has an ability to take an errant throw and turn it into an out. Ever wonder why E5 only had 18 errors last year? Because Lyle Overbay was playing first. Good luck in Pittsburgh, Lyle. Hope the fans there appreciate you. • But what’s this? Trades can still be made? Yes, we all know that, but John Lott’s got a nice little walkthrough on how trades can happen after the deadline. If you’re interested in procedural at all, you should give it a read. • Habitat for Humanity is a great cause. I’m glad the Jays are supporting it. But when reading this, I got a good laugh out of the fact that there’s only one player given credit for doing any actual work. That player: Jesse Litsch. • The Little League World Series is expanding replay to the point of giving managers the ability to challenge calls. Little league baseball: More advanced than Bud Selig. • I am a big supporter of Lyle Overbay (to the point that I’m often called “Overbay” at work) but the Adam Lind-at-first-base era has begun, and I’m ready to embrace it. It’s been fun, Lyle-O, and I do still believe in you, but the Jays are undefeated with Lind at first and that can’t be denied. Look, I know Lind’s a bit of butcher out in left field. I know it really seems like he’s destined to be a career DH or, possibly, a first baseman. I know his defensive stats are a little unimpressive — UZR/150 of -24.4 last year! — but they’re based on a pretty small sample size. Lind’s only 26 and he’s only entering his second full season in the bigs. The Jays are expected to have an awful season this year, so why not give Lind a shot to improve on his defence out in left field? With Brian Butterfield still working his magic in terms of coaching the basics of fielding, What’s the worst that could happen? The worst I can think of is that Lind doesn’t develop at all in left and costs the teams a few runs and maybe a few wins. If that’s the case, yes it’ll be frustrating, but who cares? This season is about building. Sticking Johnny Damon out in left is not building. Writing off Lind’s defensive skills this early in his career is not building. Another bonus of sticking Lind out in left is that it’ll give the Jays a chance to Free Randy Ruiz. Now that’s a guy who deserves a shot at being a full-time DH but has nothing to lose by sitting on the bench for the top of the first during home games. The other position that keeps coming up as a defensive possibility for Lind is first base. What people who bring up this possibility seem to forget is that forgotten man Lyle Overbay is still on the team. I will not stand for Overbay bashing or doubting, so as long as he’s on the team, the position, in my mind at the very least, belongs to the Albino Warlord. 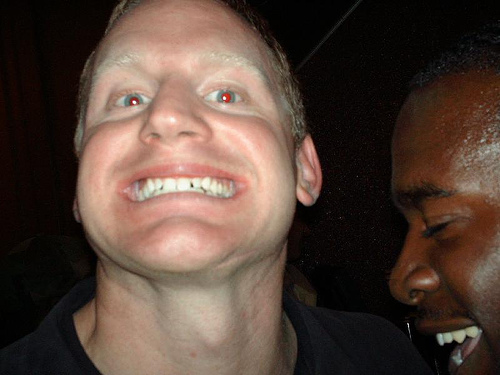 Lyle Overbay’s got the Jays’ season in his hands. Scott Rolen’s going to have to shoulder the load. Vernon Wells’ hamstring has been acting up. Dustin McGowan’s frayed labrum may end up keeping him out for the entire season. Casey Janssen’s torn labrum means he’s likely not going to start the season with Toronto, let alone start games. None of this is new, but, put together, it looks pretty bad. I’m not giving up though. Jeff Blair’s latest article (yes, that’s the same link as the Overbay one above) is pretty encouraging. To me at least. Overbay may not be willing to blame his hand injury for his struggles, but I sure am. He’ll be effective again this year. I’m thinking .310, 20 home runs and 40 doubles. Do I have anything concrete to back this up? Not at all. But I have a gut (in more ways than one). Also, if I’m right: PLAYOFFS! If I’m wrong, well, I don’t want to think about that right now. OK?